The German Aerospace Center (German: Deutsches Zentrum für Luft- und Raumfahrt e.V. ), abbreviated DLR, is the national center for aerospace, energy and transportation research of Germany. Its headquarters are located in Cologne and it has multiple other locations throughout Germany. The DLR is engaged in a wide range of research and development projects in national and international partnerships. In addition to conducting its own research projects, DLR also acts as the German space agency. As such, it is responsible for planning and implementing the German space programme on behalf of the German federal government. As a project management agency, DLR also coordinates and answers the technical and organisational implementation of projects funded by a number of German federal ministries. DLR has approximately 8000 employees at 20 locations in Germany. Its institutes and facilities are spread over 13 sites, as well as offices in Brussels, Paris and Washington, D.C. DLR has a budget of about 670 million euro to cover its own research, development and operations. Approximately one third of this sum comes from competitively allocated third-party funds (German: Drittmittel). In addition to this, DLR administers around 500 million euro in German funds for the European Space Agency (ESA). In its capacity as project management agency, it manages over 650 million euro in research on behalf of German federal ministries. DLR is a full member of the Consultative Committee for Space Data Systems (CCSDS) and a member of the Helmholtz Association of German Research Centres. In the context of DLR's initiatives to promote young research talent, ten DLR School Labs were set up in Berlin-Adlershof, Braunschweig, Bremen, Cologne-Porz, Dortmund, Göttingen, Hamburg-Harburg, Lampoldshausen/Stuttgart, Neustrelitz, and Oberpfaffenhofen over the past years. In the DLR School Labs, school pupils can become acquainted with the practical aspects of natural and engineering sciences by conducting interesting experiments. Hansjörg Dittus (Executive Board member for space research and development) since October 2011. On 18 June 2015, Pascale Ehrenfreund was named chair of the DLR Executive Board, following the departure of Johann-Dietrich Wörner, appointed Director General of the European Space Agency (ESA). "Association of Space-Flight Reg. Assoc." "German Test and Research Institute for Aviation and Space Flight"
"German Research Institute for Aviation and Space Flight"
"German Center for Aviation and Space Flight"
The modern DLR was created in 1997, but was the culmination of over half a dozen space, aerospace, and research institutes from across the 20th century. The oldest predecessor organization of DLR was established by Ludwig Prandtl in Göttingen in 1907. This Modellversuchsanstalt der Motorluftschiff-Studiengesellschaft (MLStG; German for "Institute for Testing of Aerodynamic Models of the Powered Airship Society") later became the Aerodynamische Versuchsanstalt ("Aerodynamics Laboratory" or "Aerodynamic Experimental Station"). In the 1940s the DVL (an AVA sister organization) funded Konrad Zuse's work on the Z3 and Z4 computers. Another German aviation technology research facility, the 1935-founded, top-secret Luftfahrtforschungsanstalt at Völkenrode which conducted research — much of it for military aviation to suit the Luftwaffe's needs — in parallel to the then-existing forerunners of the DLR of today, would not be discovered by the Allies until after the war's end. In 1947 the Arbeitsgemeinschaft Weltraumfahrt ("Consortium on Space Flight") was formed, leading to the Gesellschaft für Weltraumforschung (GfW; "Society for Space Research") being formed in 1948. In 1954, the Research Institute of Jet Propulsion Physics (FPS) was established at the Stuttgart airport. 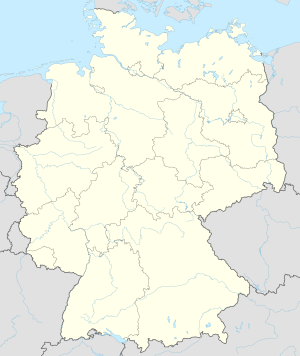 What was later called the DLR was formed in 1969 as the Deutsche Forschungs- und Versuchsanstalt für Luft- und Raumfahrt (DFVLR; "German Test and Research Institute for Aviation and Space Flight") through the merger of several institutions. These were the Aerodynamische Versuchsanstalt (AVA), the Deutsche Versuchsanstalt für Luftfahrt (DVL; "German Laboratory for Aviation"), the Deutsche Forschungsanstalt für Luftfahrt (DFL; "German Research Institute for Aviation") and (in 1972) the Gesellschaft für Weltraumforschung (GfW; "Society for Space Research"). In 1989, the DFVLR was renamed Deutsche Forschungsanstalt für Luft- und Raumfahrt (DLR; "German Research Institute for Aviation and Space Flight"). Also in 1989, the Deutsche Agentur für Raumfahrtangelegenheiten (DARA; "German Agency for Space Flight Affairs") was created. Following the merger with the Deutsche Agentur für Raumfahrtangelegenheiten (DARA; German for "German Agency for Space Flight Affairs") on 1 October 1997, the name was changed to "Deutsches Zentrum für Luft- und Raumfahrt" (DLR), literally "German Center for Aviation and Space Flight". The shorter translation "German Aerospace Center" is used in English-language publications. Other German space organizations include the Institut für Raumfahrtsysteme (IRS; Institute for Space Systems), founded in 1970. This should not be confused with DLR's Institut für Raumfahrtsysteme located in Bremen. Also, significant contributions are made to the European Space Organization. DLR’s mission comprises the exploration of the Earth and the solar system, as well as research aimed at protecting the environment and developing environmentally compatible technologies, and at promoting mobility, communication and security. DLR’s research portfolio, which covers the four focus areas Aeronautics, Space, Transportation and Energy, ranges from basic research to innovative applications. DLR operates large-scale research centres, both for the benefit of its own projects and as a service for its clients and partners from the worlds of business and science. 2 power generation technologies based on gas turbines and fuel cells, on solar thermal power generation, and on the efficient use of heat, including cogeneration based on fossil and renewable energy sources. The topics covered by DLR’s transportation research are maintaining mobility, protecting the environment and saving resources, and improving transportation safety. In addition to the already existing projects Mars Express, global navigation satellite system Galileo, and Shuttle Radar Topography Mission, the Institute of Space Systems (German: Institut für Raumfahrtsysteme) was founded in Bremen on 26 January 2007. In the future, 80 scientists and engineers will be doing research into topics such as space mission concepts, satellite development and propulsion technology. The High Resolution Stereo Camera HRSC is the most important German contribution to the European Space Agency’s Mars Express mission. It is the first digital stereo camera that also generates multispectral data and that has a very high resolution lens. The camera records images of the Martian surface which formed the basis for a large number of scientific studies. With the HRSC, which was developed at the German Aerospace Center’s Institute of Planetary Research (German: Institut für Planetenforschung), it is possible to analyse details no larger than 10 to 30 meters in three dimensions. The comet orbiter Rosetta is controlled from the European Space Operations Centre (ESOC), in Darmstadt, Germany. The DLR has provided the structure, thermal subsystem, flywheel, the Active Descent System (procured by DLR but made in Switzerland), ROLIS, downward-looking camera, SESAME, acoustic sounding and seismic instrument for Philae, the orbiter's landing unit. It has also managed the project and did the level product assurance. The University of Münster built MUPUS (it was designed and built in Space Research Centre of Polish Academy of Sciences ) and the Braunschweig University of Technology the ROMAP instrument. The Max Planck Institute for Solar System Research made the payload engineering, eject mechanism, landing gear, anchoring harpoon, central computer, COSAC, APXS and other subsystems. The framing cameras, provided by the Max Planck Institute for Solar System Research and the DLR, are the main imaging instruments of Dawn, a multi-destination space probe to the protoplanets 4 Vesta and 1 Ceres launched in 2007. The cameras offer resolutions of 17 m/pixel for Vesta and 66 m/pixel for Ceres. Because the framing cameras are vital for both science and navigation, the payload has two identical and physically separate cameras (FC1 & FC2) for redundancy, each with its own optics, electronics, and structure. DLR operates the Columbus Control Center in Oberpfaffenhofen, Germany. It is responsible for the coordination of scientific activities as well as for systems operations and life support on board the orbiting Columbus laboratory. In February 2008, the Columbus laboratory, Europe’s core contribution to the International Space Station ISS, was brought into space by the Space Shuttle and docked to the ISS. The cylindrical module, which has a diameter of 4.5 metres (14 ft 9 in), contains state-of-the-art scientific equipment. It is planned to enable researchers on Earth to conduct thousands of experiments in biology, materials science, fluid physics and many other fields under conditions of weightlessness in space. Germany has near ten astronauts and participates in ESA manned space programs including flights of German astronauts aboard US Space Shuttles and Russian spacecraft. Besides missions under ESA and flights on Soyuz and Mir, two Space Shuttle missions with the European built Spacelab were fully funded and organizationally and scientifically controlled by Germany (like a separate few by ESA and one by Japan) with German astronauts on board as hosts and not guests. The first West German mission Deutschland 1 (Spacelab-D1, DLR-1, NASA designation STS-61-A) took place in 1985. 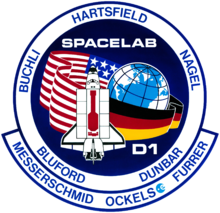 The second similar mission, Deutschland 2 (Spacelab-D2, DLR-2, NASA designation STS-55), was first planned for 1988, but then due to the Space Shuttle Challenger disaster was delayed until 1993 when it became the first German manned space mission after German reunification. In remote sensing of the Earth, satellites provide comprehensive and continually updated information on "System Earth". This remote sensing data is used to investigate the Earth’s atmosphere, land and ocean surfaces, and ice sheets. Practical applications of this technology include environmental monitoring and disaster relief. 2 levels, particulate matter levels, rainforest deforestation and the radiation conditions of the Earth’s surface (land, oceans, polar ice). The new German Earth observation satellite TerraSAR-X was launched in June 2007. The objective of this five-year mission is to provide radar remote sensing data to scientific and commercial users. The satellite’s design is based on the technology and expertise developed in the X-SAR and SRTM SAR missions (Synthetic Aperture Radar). The sensor has a number of different modes of operation, with a maximum resolution of one meter, and is capable of generating elevation profiles. TerraSAR-X is the first satellite that was jointly paid for by government and industry. DLR contributed about 80 percent of the total expenses, with the remainder being covered by EADS Astrium. The satellite's core component is a radar sensor operating in the X band and capable of recording the Earth’s surface using a range of different modes of operation, capturing an area of 10 to 100 kilometers in size with a resolution of 1 to 16 meters. The Uppsala-DLR Trojan Survey (UDTS) was a search for asteroids near Jupiter in the 1990s, in collaboration with the Swedish Uppsala Astronomical Observatory. When it concluded there was another survey, the UAO-DLR Asteroid Survey, this time with a focus on Near Earth asteroids and both surveys discovered numerous objects. Studying a suborbital spaceplane, DLR conducted Falke prototype for Hermes spaceplane program, participates in non-realized Sanger II project and since 2005 work under the concept making fast intercontinental passenger transport possible. The SpaceLiner is a reusable vehicle lifting-off vertically and landing like a glider. DLR operates Europe’s largest fleet of research aircraft. The aircraft are used both as research objects and as research tools. DLR’s research aircraft provide platforms for all kinds of research missions. Scientists and engineers can use them for practical, application-oriented purposes: Earth observation, atmospheric research or testing new aircraft components. DLR is for instance investigating wing flutter and possible ways of eliminating it, which would also help to reduce aircraft noise. So-called "flying simulators" can be used to simulate the flight performance of aircraft that have not been built yet. This method was for instance used to test the Airbus A380 in the early stages of its development. The VFW 614 ATTAS was used to test several systems. The high-altitude research aircraft HALO (High Altitude and Long Range Research Aircraft) will be used for atmospheric research and Earth observation from 2009. With a cruising altitude of more than 15 kilometers and a range of over 8,000 kilometers, HALO will provide for the first time the capability to gather data on a continental scale, at all latitudes, from the tropics to the poles, and at altitudes as high as the lower stratosphere. 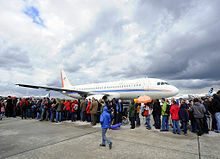 The Airbus A320-232 D-ATRA, the latest and largest addition to the fleet, has been in use by the German Aerospace Center since late 2008. ATRA (Advanced Technology Research Aircraft) is a modern and flexible flight test platform which sets a new benchmark for flying test beds in European aerospace research – and not just because of its size. DLR and NASA jointly operate the flying infrared telescope SOFIA (Stratospheric Observatory for Infrared Astronomy). 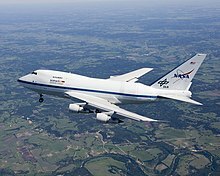 A Boeing 747SP with a modified fuselage enabling it to carry a reflecting telescope developed in Germany is used as an airborne research platform. The aircraft is operated by the Dryden Flight Research Center at Site 9 (USAF Plant 42) in Palmdale, California. Observation flights will be flown 3 or 4 nights a week, for up to eight hours at a time and at an altitude of 12 to 14 kilometers. SOFIA has been designed to remain operational for a period of 20 years. It is the successor to the Kuiper Airborne Observatory (KAO), which was deployed from 1974 to 1995. 2 and noise emissions caused by air transport. In order to ensure that increasing traffic volumes do not lead to an increase in the noise pollution caused by air transport, DLR is investigating options for noise reduction. The "Low-noise Approach and Departure Procedures" research project (German: Lärmoptimierte An- und Abflugverfahren), for instance, forms part of the national research project "Quiet Traffic" (German: Leiser Verkehr). The objective of this project is to find flight procedures that can reduce the amount of noise generated during takeoff and landing. One approach is to analyse noise propagation at ground level during takeoff using a large number of microphones. Researchers are also trying to reduce the noise at source, focusing for instance on airframe and engine noise. They hope to minimise noise generated in the engines using so-called "antinoise". 2 emission-free hydrogen propulsion could perhaps limit the effects of growing air traffic volumes on the environment and the climate. 2 emissions. For this achievement, the DLR team and several other research groups received the Descartes Prize, a research award created by the European Commission. The FP6 Hydrosol II pilot reactor (around 100 kW) for solar thermochemical hydrogen production at the Plataforma Solar de Almería in Spain started in November 2005 and is in operation since 2008. During the 2006 FIFA World Cup football championship, DLR implemented the Soccer project aimed at preventing traffic congestion. In this transportation research project, traffic data was obtained from the air in Berlin, Stuttgart and Cologne and used as input for traffic forecasting. A sensor system combining a conventional and a thermographic camera was used to obtain the data. A zeppelin, an aeroplane and a helicopter served as flying research platforms. An image analysis software package generated aerial photos showing the current traffic parameters as well as traffic forecasts. In this way, traffic control centres could be provided with almost-real-time traffic information, and road users could be diverted whenever necessary. The 11 MW PS10 near Seville in Spain. Examples of DLR (or parent institution) current and past space missions. Many of these are also joint or international missions. DLR Magazine is the institute's flagship publication, also published in English as of June 2010. Subject matter includes science, editorials and images. ^ "Das DLR im Überblick". DLR Portal. Retrieved 10 January 2019. ^ "DLR_School_Lab - The DLR_School_Labsn". DLR Portal. German Aerospace Center. Retrieved 15 January 2013. ^ "DLR Portal - Professor Hansjörg Dittus - new DLR Executive Board Member for Space". DLR Portal. German Aerospace Center. 15 June 2011. Retrieved 27 June 2011. ^ a b c "Space flight in Germany – timeline including important events". 100 Years. German Aerospace Center. 4 February 2007. Retrieved 26 May 2010. ^ "DLR site Stuttgart". DRL Portal. German Aerospace Center. 28 January 2010. Retrieved 24 May 2010. ^ "Defense & Security Intelligence & Analysis: IHS Jane's - IHS". Retrieved 31 December 2016. ^ "DLR's Bremen Site". DLR Portal. German Aerospace Center. 28 January 2010. Retrieved 26 May 2010. ^ Pearson, Michael; Smith, Matt (21 January 2014). "Comet-chasing probe wakes up, calls home". CNN. Retrieved 21 January 2014. ^ "Active Descent System" (PDF). Moog Inc. Archived from the original (PDF) on 12 November 2014. Retrieved 11 November 2014. ^ "The MUPUS Instrument for Rosetta mission to comet Churyumov-Gerasimenko". Laboratorium Mechatroniki i Robotyki Satelitarnej. 2014. Archived from the original on 2 January 2014. ^ a b Rayman, Marc; Fraschetti, Thomas C.; Raymond, Carol A.; Russell, Christopher T. (5 April 2006). "Dawn: A mission in development for exploration of main belt asteroids Vesta and Ceres" (PDF). Acta Astronautica. 58 (11): 605–616. Bibcode:2006AcAau..58..605R. doi:10.1016/j.actaastro.2006.01.014. Retrieved 14 April 2011. ^ a b Sierks, H.; Keller, H. U.; Jaumann, R.; Michalik, H.; Behnke, T.; Bubenhagen, F.; Büttner, I.; Carsenty, U.; et al. (2011). "The Dawn Framing Camera". Space Science Reviews. 163 (1–4): 263–327. Bibcode:2011SSRv..163..263S. doi:10.1007/s11214-011-9745-4. ^ "HYDROSOL II". Sixth Framework Programme. CORDIS. 3 November 2009. Retrieved 26 May 2010. ^ "DLR scientists achieve solar hydrogen production in a 100-kilowatt pilot plant". DLR Portal. German Aerospace Center. 25 November 2008. Retrieved 26 May 2010. ^ "DLR Augsburg - Zentrum für Leichtbauproduktionstechnik" (in German). DLR e.V. Retrieved 21 December 2014. ^ "Institute of Optical Sensor Systems". Retrieved 14 February 2018. ^ "DLR_School_Lab - Bremen". Retrieved 31 December 2016. ^ "Neues Institut für Quantentechnologie". ^ "Deutsches Zentrum für Luft- und Raumfahrt (DLR)". Retrieved 30 August 2013. ^ "Institut für Lufttransportsysteme". Institut für Lufttransportsysteme. Retrieved 30 August 2013. ^ "Institut für Antriebstechnik". Retrieved 30 August 2013. ^ "Institute of Robotics and Mechatronics". Retrieved 14 February 2018. ^ "Institute of System Dynamics and Control". Retrieved 14 February 2018. ^ "Institute Networked Energy Systems". Retrieved 18 January 2019. ^ a b "DLR - Space Operations and Astronaut Training - Completed Missions". Archived from the original on 4 March 2016. Retrieved 31 December 2016. ^ DLR. "DLR Portal". Retrieved 31 December 2016. ^ Kayaoglu, Ercan. "DLR - Institute of Flight Systems - History – Road Map of Events: 1992-1994". Retrieved 31 December 2016. ^ a b "DLR Magazine Archive". DLR Website. Retrieved 15 November 2018. "older archive 1998 - 2010". Wikimedia Commons has media related to Deutsches Zentrum für Luft- und Raumfahrt.